This course will cover the design of electrical installations for, and specification of, Electric Vehicle Charging Installations. The course will cover the requirements detailed in Section 722 of BS 7671:2018, and the IET Code of Practice for Electric Vehicle Charging Installations, 3rd Edition. It provides an understanding of the key requirements for protection against electric shock, including selection and use of earthing systems, and introduces vehicle-as-storage, wireless power transfer (WPT) and smart infrastructure installations. 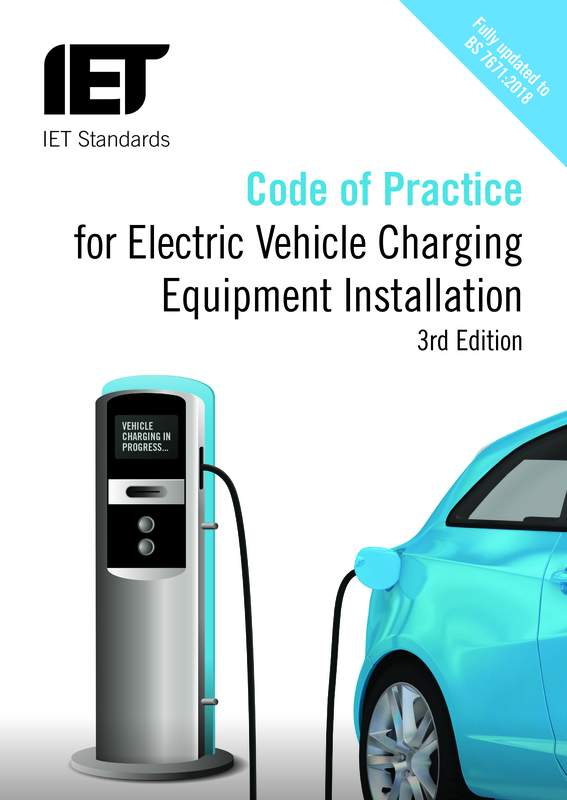 The very well established Code of Practice for Electric Vehicle Charging Equipment Installation, 3rd Edition is essential reading for anyone involved in installing electric vehicle charging equipment. Key changes from the second edition include two completely new sections on; vehicles as Energy Storage and Integration with smart systems. Fully updated to the 18th Edition of the IET Wiring Regulations, the Code ais in line with revised regulations and good practice on areas such as alternative sources of supply, metering and installations at filling stations. This course has been designed for those who are new to EV Charging Installations or for those requiring a better understanding of electric vehicle charging equipment installations. Learners using this course could be from any background or industry sector, from apprentices through to senior managers. Graham is well versed in standard-setting, as he serves as: Chair of the IET’s Wiring Regulations Policy Committee; a member CIBSE’s Electrical Services Group Committee; an IET representative on JPEL/64 (BS 7671, IET Wiring Regulations), under which he also serves as Deputy Chair of JPEL/64 sub-committee D.
Graham is author of the 3rd Edition of the IET Code of Practice for Electric Vehicle Charging Installations, co-author of the IET Code of Practice for Electrical Energy Storage Systems, and editor of some of the IET’s forthcoming Wiring Regulations publications: Guidance Note 5 Protection against electric shock (8th Edition); Guidance Note 6 Protection against overcurrent (8th Edition); and Electrical installation design guide (4th Edition).